With all of Nottingham at stake, the Doctor must decide who is real and who is fake. Can impossible heroes actually exist? Peter Capaldi is the Doctor in Robot of Sherwood. It’s been a while since Doctor Who had an episode that was just fun. Going all the way back to Series 7, The Power of Three saw what happens when the Doctor gets bored, faced with a problem that requires time to solve. He integrates himself into Amy and Rory’s life while Rory’s Dad becomes his lab assistant of sorts. While the episode does, of course, turn serious towards the end, the majority of its run-time is lighthearted and farcical. From then, the show goes on a run from The Angels Take Manhattan all the way to Into the Dalek that consists of more serious episodes with humor and entertainment used to break the tension. The first two episodes of Peter Capaldi’s time as the Doctor have see him deal with post-regeneration sickness, getting into a deadly brawl with a half-man/half-clockwork creature, and wondering about the “goodness” of both himself and a malfunctioning Dalek. 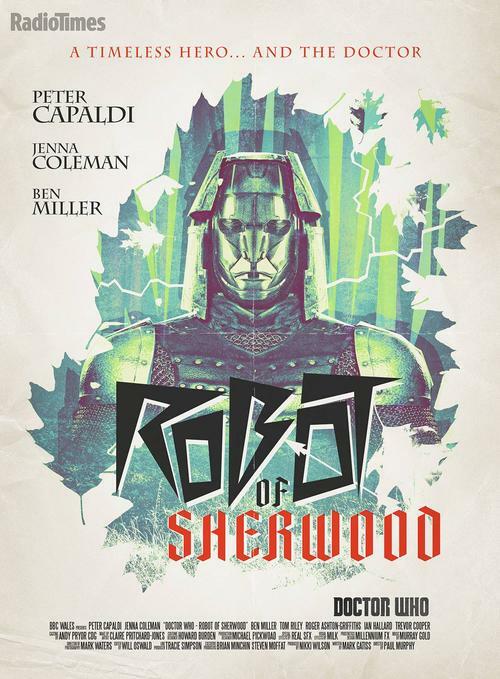 Robot of Sherwood, penned by noted Doctor Who fanboy Mark Gatiss, sees the Doctor and Clara encounter one of England’s most legendary figures, the outlaw Robin Hood. Robot of Sherwood is not a perfect episode. The narrative flow is a bit discombobulated, switching between long, extended moments and quickly rushed scenes, and the science fiction plot feels tacked on. But the strength of the episode is, and always was, the chemistry and banter between the Doctor, Clara, Robin Hood, and the Sheriff of Nottingham. In that, Robot of Sherwood succeeds in spades, with Capaldi’s Doctor coming off at not only distinct from his predecessors, but a little more alien and a little less human as well. Mark Gatiss’ Doctor Who output can be described as “fair.” He’s had his misses, including The Idiot’s Lantern and Victory of the Daleks. He’s had his “average” episodes, including The Unquiet Dead. And he’s had his “good, but flawed” episodes such as Cold War and Night Terrors. Robot of Sherwood falls into the latter category, landing squarely into the higher percentiles of the bracket. The tale of Robin Hood is familiar across the entire world. Gatiss could have very easily made this story like so many others throughout the show’s production, where the Doctor’s actions become a vital-yet-unknown part of established historical events. In this story, however, the Doctor is almost a bit-player when all is said and done. It’s very refreshing that for the Doctor to be a part of history, but other people actually MAKE the history. From the moment the Doctor steps out of the TARDIS and Robin Hood introduces himself, it’s obvious that the script is going to be much more Men in Tights than Prince of Thieves, a point driven home by the utterly ridiculous but insanely delightful sword vs. spoon duel the Doctor and Robin Hood face off in. It’s further compounded by the bickering (bordering on homicidal arguing) the pair engage in over the course of the story, from a over-the-top archery contest to an attempt to distract their jailor ending in a manner that both of them are very glad Clara didn’t see. While the comedy is very well done, it does make the “serious” moments a bit jarring when they pop up. Robot of Sherwood knows what kind of episode it wants to be, and it’s the actual science-fiction aspects of the plot that fall flat. There are robots, they want to leave the planet, if they try to leave the planet the ship will explode and take out most of the British Isles, and it takes an arrow made of gold to give it JUST enough of a boost to let it exit the atmosphere so the robots can head to the same “Promised Land” that the clockworks from Deep Breath were apparently heading to. It’s not quite a 180 from the comedic aspects of the story, but it’s enough to cause a bit of a cognitive hiccup. The supporting cast boils down to two characters – Robin Hood, played by Tom Riley, and the Sheriff of Nottingham, played by Ben Miller. Or, as someone pointed out, “the Sheriff of Nottingham, played by Roger Delgado impersonating Anthony Ainley.” Miller, one half of British comedy team Alexander & Miller, embraces his role with gusto; not quite going full Alan Rickman, but you can see him from Miller’s performance. He twirls the mustache, oppresses the peasant, trades banter with Robin Hood, and takes great glee in being evil. But Miller shows just enough intelligence that his character doesn’t slide into pure caricature, and his “AND THEN THE WORLD” line just might be the revival’s answer to the classic-era’s “MY DREAMS OF.CONQUEST!” Opposite of him, Tom Riley’s Robin Hood shows why he’s such an annoying thorn in the Sheriff’s (and the Doctor’s) side. He’s competent, cheerful, and boisterous. Excessively so, as the Doctor threatens to punch him over his ridiculous amounts of laughter, and it’s easy for Riley’s performance to go from “humorous” to “annoying” for some viewers. 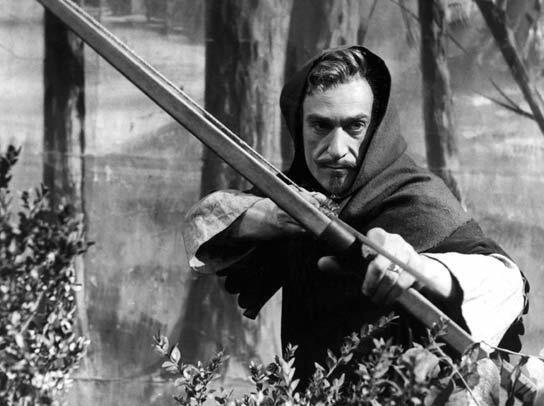 But Robin Hood’s skill with sword and bow is beyond reproach in both his duel with the Doctor and his fight with Nottingham. The finale scene with the Doctor is a feather in Riley’s cap, as he answers the Doctor’s concerns and contradictions. I loved Capaldi in this episode, but it’s easy to see where some viewers would have reservations about his performance. One could make the case that David Tennant and Matt Smith’s time as the Doctor went a very long way to “humanizing” the last of the Time Lords, lowering his defenses and sanding his edges. They definitely presenting the most appealing Doctors, not “TOO” alien and different from humans, aside from two hearts and a magic phone box. Capaldi, though, has gone the other direction. He insults humans, and what Ten would find “fantastic” and Eleven might find “neat,” Twelve finds “absolutely impossible.” Some viewers might have found his not accepting the situation as off-balance for someone who, over the course of 1200 years, has seen some absolute amazing things. But to me, Capaldi’s regeneration is just doing what countless regenerations have done in the past, and that’s be completely different from the ones before. Mark Gatiss wrote this episode before Twelve’s personality had any of its characteristic defined on-screen, so I would like to think the Doctor’s arrogance, bickering nature, and shock at being wrong as he realizes that Robin Hood isn’t a robot were more the part of Capaldi and not Gatiss’ script. I say this because, in many ways, Robot of Sherwood is a script that could have featured several other Doctors. The Third Doctor, of course, comes to mind, but one could also see Six complaining about the banter and insisting he’s right, and perhaps even Seven trying to calmly deduce the “long game” that’s going on. With Twelve as the Doctor on call, he comes off as, well, slightly off. He’s determined to figure out what’s wrong, determined that there MUST be a puzzle to be solved, that his superior intellect alone will save the day, even if it means casually telling someone they’ll be dead in six months, biting into an apple and then scanning it, blatantly cheating at an archery contest, or challenging a man holding a sword to a duel while wielding a fork. It’s either over-the-top silly and perfectly in line with the Doctor and the episode, or completely out of character and a major speedbump in the characterization of the Doctor, depending on how one chooses to look at it. The end of the episode sums it all up. Robin Hood, instead of being dismayed that history will forget him and turn his crusade for justice into myth and legend, believes that it’s a good thing as long as people take up the fight for good in his name…which is something the Doctor has seen before, for both good and ill. While to some people the big story arc this season will be Missy and “heaven,” to me the story arc is more about the Doctor, after all he’s seen, coming to grips with the absolution of guilt over the Time War and trying to define himself. This episode saw him as a hero. Into the Dalek didn’t. Which Doctor is which then? Robot of Sherwood has several easily noticeable flaws, and depending on how you like your Doctor Who, they can either be overlooked in the course of an enjoyable episode, or glaring enough to drag down the whole story. In either case, it’s a memorable story, and one that I could easily see myself rewatching in the future. And it’s definitely an episode I would feel comfortable showing to someone who had never seen Doctor Who before, as it has everything I love about the show; humor, action, and just a touch of character driven pathos. And by the way, Patrick Troughton’s cameo in this episode was absolutely awesome. This entry was posted in Random Thoughts and tagged Clara Oswald, Doctor Who, Doctor Who Review, Jenna Coleman, Mark Gatiss, Peter Capaldi, Twelfth Doctor. Bookmark the permalink. And I was fully in Twelve’s corner in wanting to punch Robin, BTW. Oh you just like it when the Doctor punches people! You make it sound like it’s a bad thing!